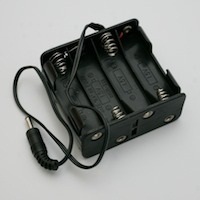 This battery box is specifically for our 8 channel chaser and holds 8 AA batteries. This allows you to make your chasers mobile. Pre-connected 12 volt battery box powers our 8 channel chaser for mobile use.